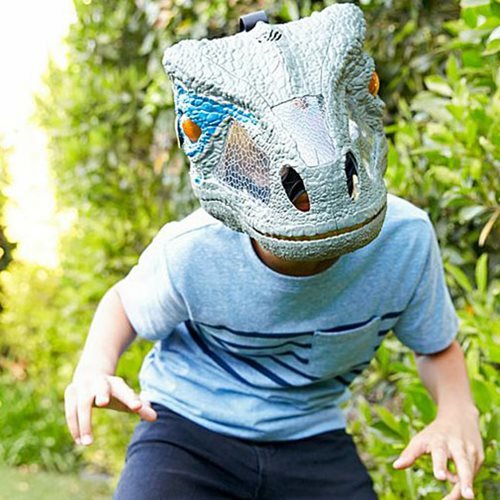 Get into the dino-mite action and adventure of Jurassic World: Fallen Kingdom, and raise the fun and excitement to another level with this Jurassic World: Fallen Kingdom Dino Mask with Sounds! 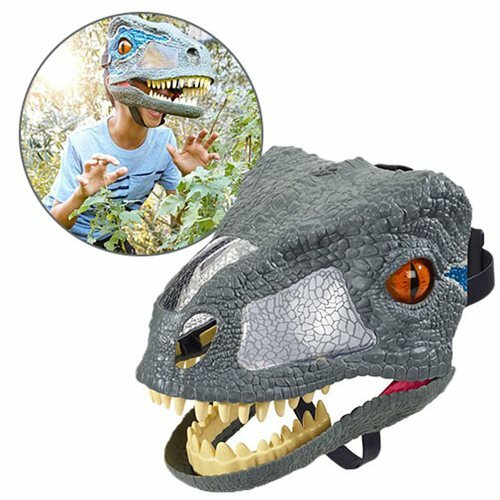 The Chomp & Roar Mask is based on the fan-favorite movie character, Blue, and features realistic details like skin texture and color, moving eyes, and teeth. It's the perfect dinosaur role-play item! 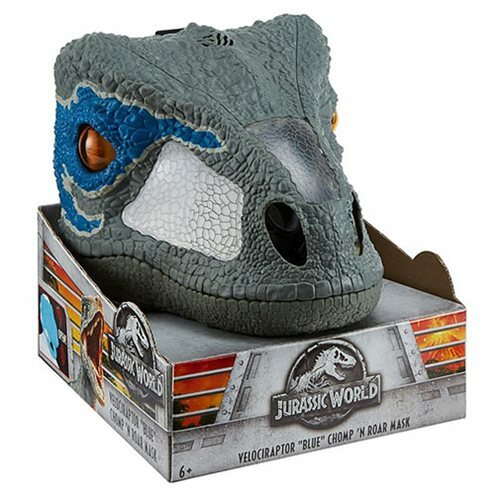 Be sure to check out item MTFNG98 Jurassic World: Fallen Kingdom Dino Claws (sold separately), too.